I managed to snipe this pen from Greg Minuskin. As a disclaimer, I am not the Singapore Sniper, those who frequent Greg's site would know what I mean. 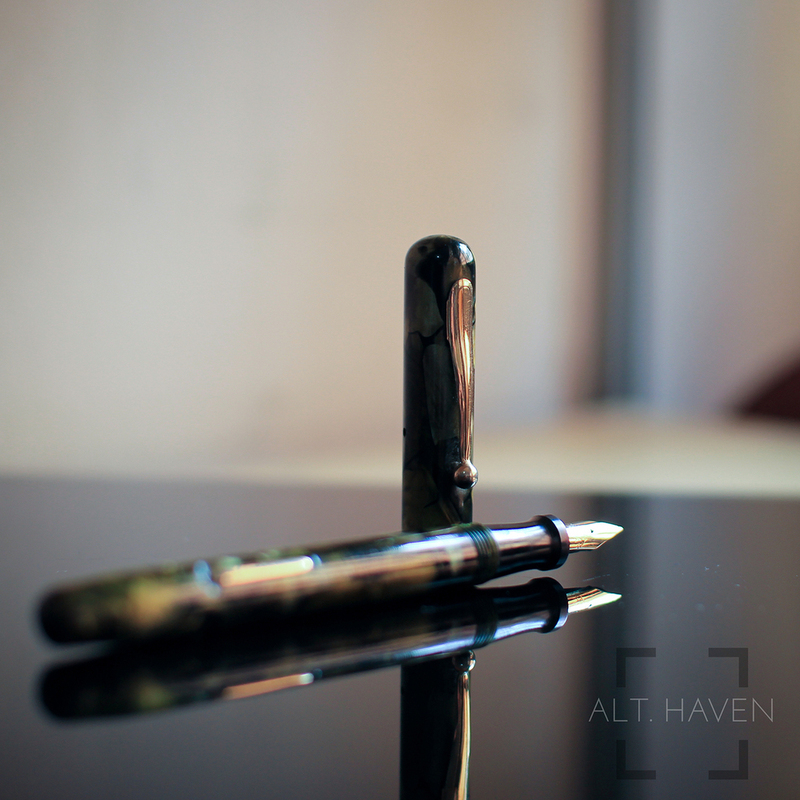 This Weidlich fountain pen has a beautiful green marbling pattern with matching gold accents. The pen just photographs so well. I would I could find more information about this pen. If anyone has more information about it please leave a comment below. I am proud to have this pen in my collection. This is defintely my prettiest pen in my collection. I would love to get someone to take a look at the sharp point of the nib and get it worked on.